A spokesperson for the Sewerage & Water Board said the water main broke around 6:20 a.m. near the intersection of Panola and Leonidas streets. 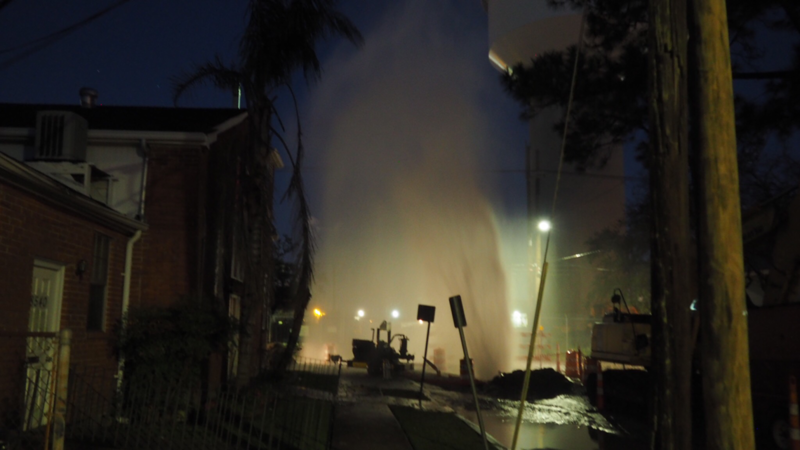 NEW ORLEANS — A water main break sent water spewing into the air just blocks away from the Sewerage & Water Board's Carrollton power plant Friday morning. Residents in the Leonidas neighborhood tell Eyewitness News they were woken up by rocks and water splashing on their windows. 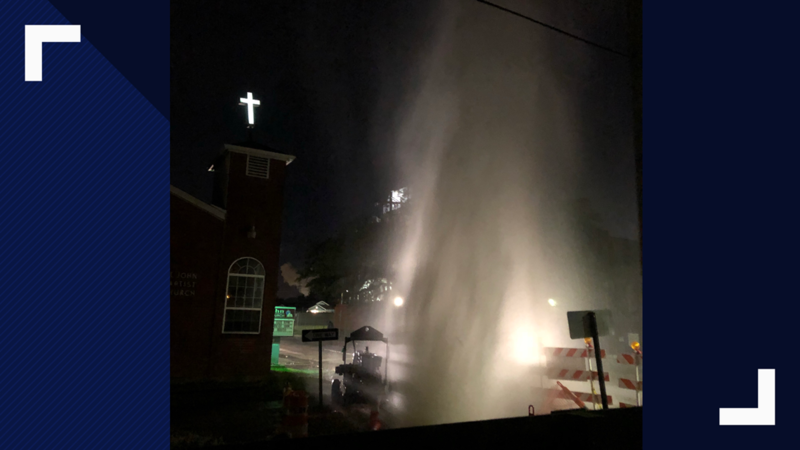 A spokesperson for the Sewerage & Water Board said the 48-inch water main broke around 6:20 a.m. near the intersection of Panola and Leonidas streets. Residents and businesses on the East Bank may experience low water pressure during the repairs. The New Orleans Police Department is now at the scene blocking off roads. Neighbors say the geyser of water reached about 30 feet. Water was seen dripping off the roof of a nearby church. The S&WB is trying to determine what caused the break. 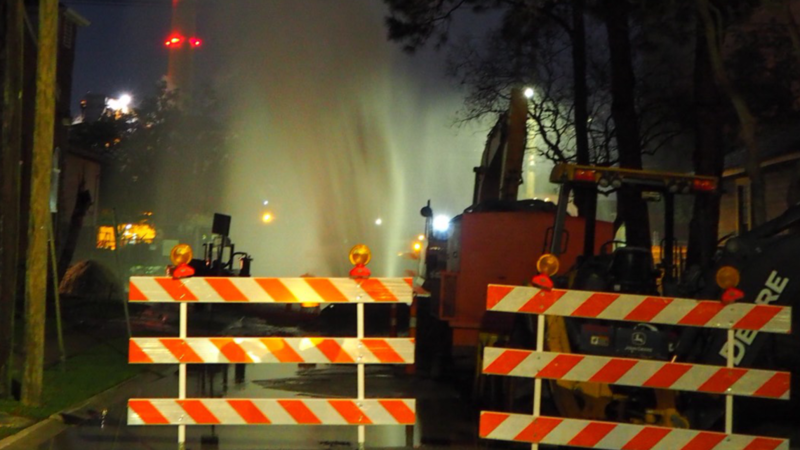 It's not the only time New Orleans residents have seen water spraying into the air. Saturday, a water main broke in the French Quarter, spewing a stream of water into the air and into the second floor of the Cat's Meow.